Marina Punat is situated in one of the most protected bays of the Adriatic coast, on the south-western side of the island of Krk. Kvarner – South-western side of the island of Krk. Marina Punat is situated in one of the most protected bays of the Adriatic coast, on the south-western side of the island of Krk. Founded in 1964, this is the oldest marina in Croatia. Open all year round, it has won many important awards as the best Croatian marina. 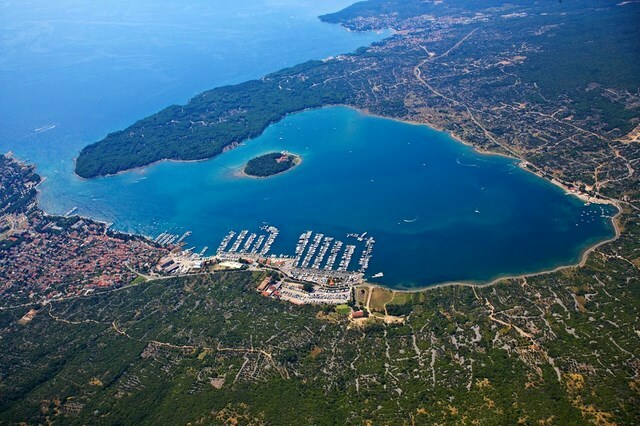 Marina Punat comprises of 800 berths on even 11 piers and it is fully equipped to accomodate yachts up to 45 m long. There are also 100 dry berths for boats up to 15 m long. This “dry“ part of the marina can accept 400 ships up to 10 m long. All berths are supplied with all the required infrastructure such as water and electricity. Small luxury hotel with 20 rooms, reception desk, exchange office, Internet caffe, restaurants, caffe-buffet-pizzeria, sanitary facilities, laundry, maritime store, grocery shops, yacht maintenance and repair, travel lift 100 t, travel lift 50 t, a 10 t capacity crane, slipway for yachts up to 50 t. The gas station is 2 nautical miles far from the marina. Krk is linked with the mainland by a bridge. Regular ferry connections to the neighbouring islands Rab and Cres makes it even more accesible. The international airport is less then 30 km far from the marina.